It was a tale of two sessions in the US following the previous day’s meltdown which mainly came off the back of unexpected commentary from the Fed regarding unwinding the balance sheet. 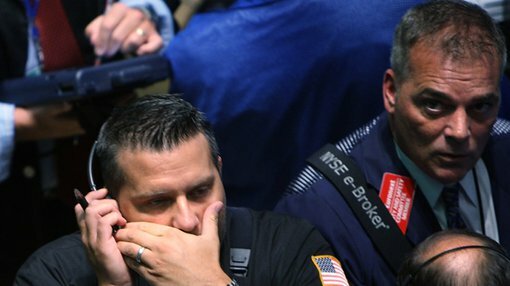 As anticipated, there was early selling last night which dragged the Dow lower, but a mid-session kick saw the index hit a high of 20,746 points, before giving up most of those gains to finish at 20,662 points up less than 0.1% on the previous day’s close. The NASDAQ performed a little better, gaining 0.2% to close at 5878 points. All eyes now turn to President Trump’s meeting with Xi Jinping, and from a macro data perspective the non-farm payroll numbers which will be released on Friday. Concerns regarding the likelihood of uncertainty rubbing off on other global markets heightened after US markets closed the previous day with the Nikkei 225 benchmark index falling 264 points or 1.4%. Japan was the next main market to trade after US markets closed, and this negative sentiment suggested European markets may have been in for a tough night. This looked to be very much on the cards as the FTSE 100 slumped from the previous day’s close of 7331 points to hit an early-morning low of 7258 points. However, it recovered some of that lost ground throughout the day to close at 7303 points, representing a decline of 0.4%. Mainland European markets fared better with the DAX gaining 0.1% to close at 12,230 points and the Paris CAC 40 again putting on a strong performance, rallying 0.6% to close at 5121 points. On the commodities front, oil rallied strongly, resulting in some energy stocks providing index support. Gold gained a little ground to close at US$1253 per ounce. Base metals drifted lower across the board with nickel retracing 1.7% after a strong rally in the previous session. The other main mover was zinc as it came off 1.6% to finish at US$1.22 per pound, pushing closer to the one month low of US$1.21 per pound. The Australian dollar is fetching US$0.754.